Great Grey Owls are some of the Launsteins’ very favourite animals to photograph. Boasting the largest wingspan of any owl in Canada, these silent hunters of the boreal forest are simply magnificent to encounter. 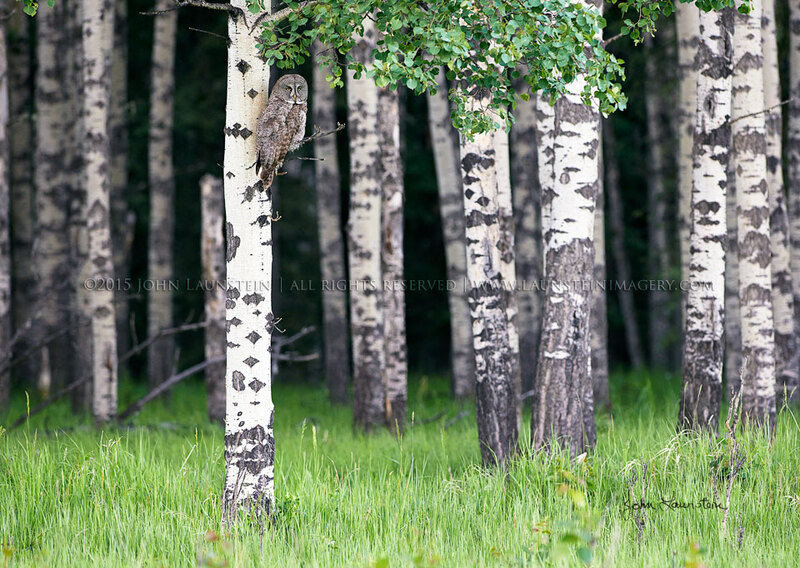 This beautiful owl hunted the edge of the forest as dusk fell in the Rocky Mountain foothills in western Alberta, and gave John and his family an incredible series of moments to capture through the lens. As with all the Launsteins’ wildlife images, this is a wild owl that was not baited, called, lured-in or manipulated in any way.